Snickerdoodle cookies might not have the value of the crown jewels in London, or the gold in Fort Knox, but it is certainly easier to attempt a cookie theft. Or at least that is what two Maryland teenagers had thought before attempting the not so glamorous heist. Baltimore County police recently arrested two sweet toothed teenagers for theft after security guards at the Towson town center observed the teens jumping over the counter at a cookie store. Three Maryland teenagers were apparently involved in the theft, but police were only able to arrest two 16 year old suspects. Police did not reveal exactly how many cookies were stolen by the two teenagers, but the amount appears to be significantly less that the amount of cookies that were stolen at the same store just 48 hours earlier. About two days before the Maryland teenagers pulled of their small time cookie theft, two unidentified people were caught on camera stealing over 20 pounds of cookies from the same Towson store. The store claimed that 12 pounds of chocolate chip cookies, and 12 pounds of snickerdoodle cookies were stolen. 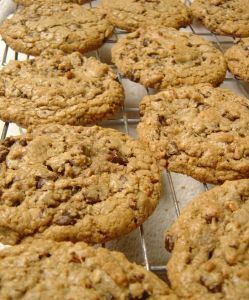 Baltimore County police are investigating whether the two cookie thefts are related, and cops have not ruled out a grand cookie theft scheme involving the two teenagers. Police did note that although the most recent theft involved a small amount of cookies, the type of cookie involved was the same in both thefts. The snickerdoodle. Police may have some difficulty in tying the two thefts together, as there were no eye witnesses to the first theft. In fact, store employees only found out about the first theft after they had reviewed video surveillance the next day. According to the storeowner, a 3 pound box of cookies sells for more than 50 dollars, which would mean the first theft resulted in a 400 dollar loss for the cookie shop. The 24 pounds of cookies that were stolen in the first theft were apparently marked for donation to charity, as the store frequently visits shelters to drop off excess cookies. Other stores in the Towson mall have been the targets of theft in the past, but this was the first time the cookie store had been hit. The two teenagers that were arrested in the second theft will likely be charged with theft under 100 dollars, and prosecuted in juvenile criminal court. In Maryland, theft under 100 dollars is a misdemeanor punishable by up to 90 days in jail. It appears that the teenagers could also be facing burglary charges due to the fact that they allegedly jumped over the counter, and entered the property of the business in order to carry out the theft. Whether the teenagers will face burglary and theft charges, or just theft charges is a decision that the Baltimore County prosecuting lawyer will make. If the teenagers are found to have been involved in the first cookie theft, they could be charged with theft over 100 dollars, which has a maximum jail sentence of 18 months in Maryland. 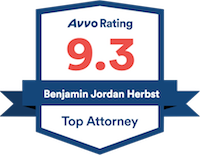 Benjamin Herbst is a Maryland theft lawyer, who handles all types of criminal cases in Baltimore and throughout Maryland. If you have been arrested for theft, burglary, robbery, or any other crime contact The Herbst Firm for a free consultation. Cookie theft crumbling with arrest of two Md. teens, washingtontimes.com.